I’m no stranger to the label “coffee snob”…my husband and close friends can attest to that for sure. As a recovering coffee barista I was introduced to the proper techniques to brew and serve coffee for optimal flavor. 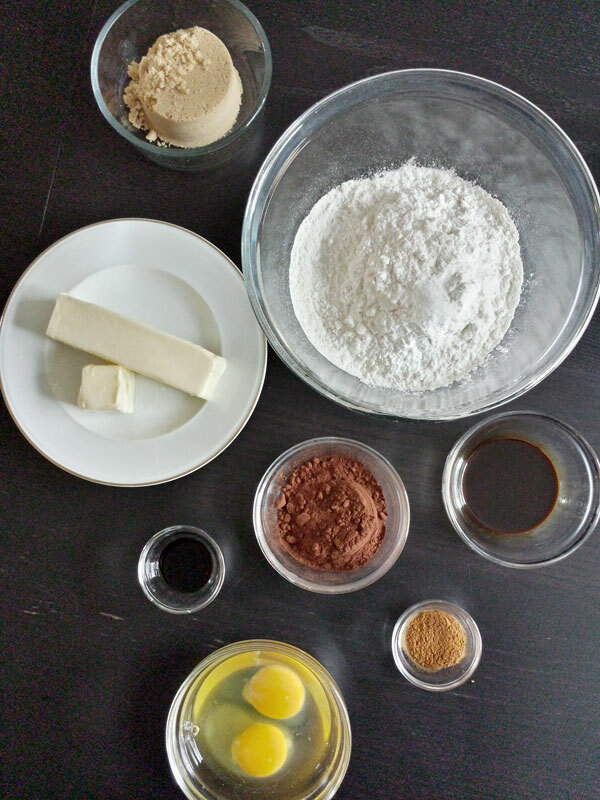 As always, let’s sift together our dry ingredients…flour, cocoa powder, baking powder, salt and cinnamon are about to get nicely acquainted. Using a stand mixer combine the butter, sugar, eggs, vanilla and cooled espresso mix till everything is smooth. Stir in the dry ingredients until just incorporated…definitely need to utilize self control so we don’t over mix the dough. Divide the dough in half and create two cookie logs. In order to make them squares, it’s important to flatten the cookie log on four sides. 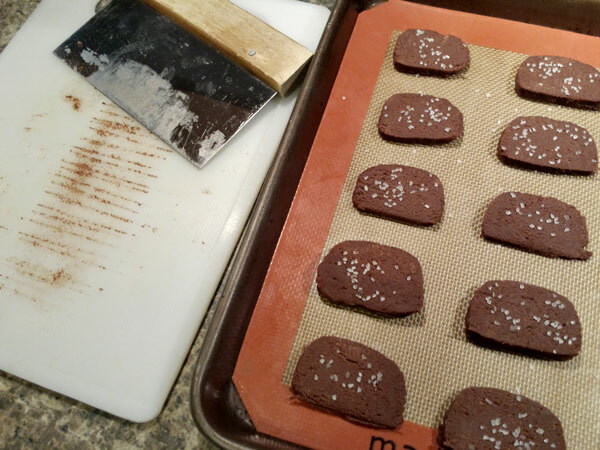 As you will see, my cookies look more like rounded rectangles…trust me…practice makes perfect. Nevertheless, that does not detract from the flavor of these tasty morsels. Freeze the cookie logs in the freezer for about 2 hours…and now it is time to bake! 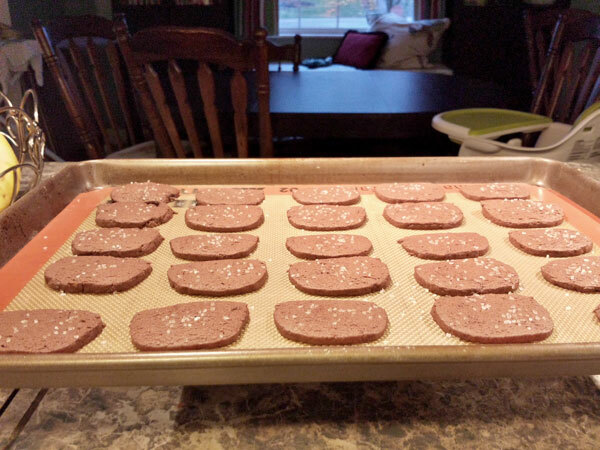 Preheat the oven, then slice the cookies into 1/3 inch slices, that is about the width of 3 quarters stacked if you are ruler challenged like me (wink)! Slice and place the cookies on a parchment lined baking sheet. 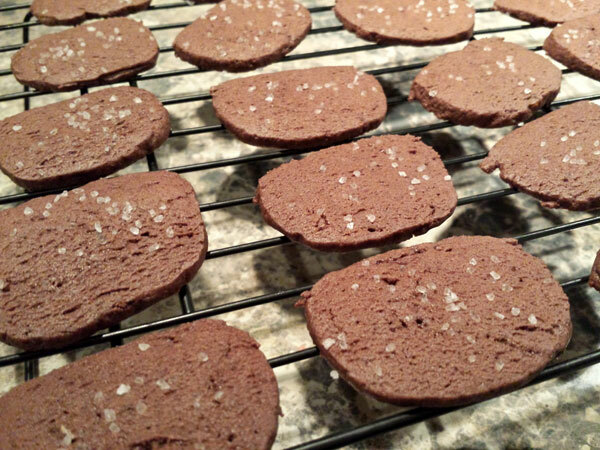 Sprinkle the tops of each cookie cut out with some coarse sea salt. A little goes a long way in this recipe. Bake in the oven for about 13-15 minutes until the tops of the cookies appear to be a little dry. Allow the cookies to cool on the baking sheet for 5 minutes then move the cookies to a rack to cool completely. This is the perfect cookie to accompany your favorite cup o’ coffee…nothing instant about it! Not too sweet, bold coffee flavor with a hint of cinnamon to make it worth adding to your holiday cookie rotation. The salt adds a nice contrast to the sweetness that’s not too overpowering. More to come on this topic later but until then…Merry Christmas to all and to all a good cup! Stir together the espresso powder and boiling water in a small bowl or cup and set aside to cool. 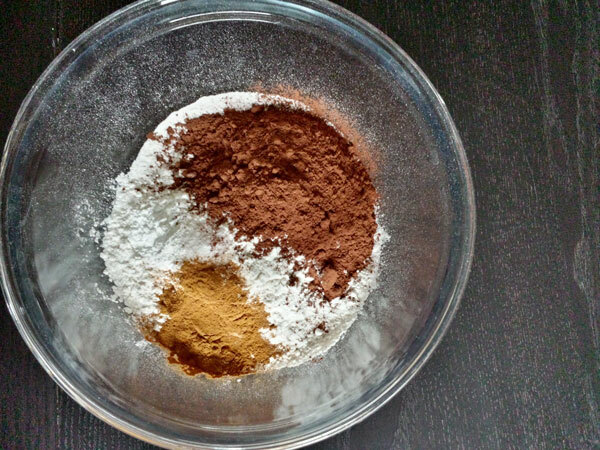 Meanwhile, sift together the flour, baking powder, salt, cocoa powder and cinnamon in a medium bowl. In a large bowl fitted to a stand mixer cream the butter and sugar together using a medium-high speed. Beat until it becomes a fluffy buttery mixture which will take about 2 to 3 minutes. Add to the butter mixture the eggs, vanilla and espresso and beat together until smooth. 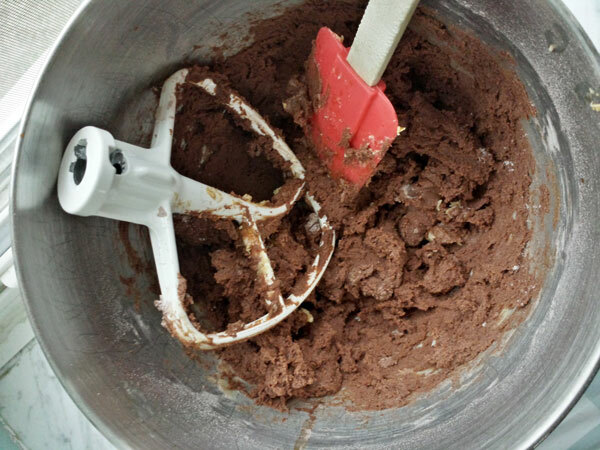 Move the mix speed to low and add the dry ingredients to the bowl. Beat together until just incorporated. Divide the dough in half and roll each portion into a cookie log. You can use wax paper to help with this. Then press to flatten the log on four sides so it becomes a squared off log. Wrap the dough logs in plastic wrap and freeze it for 2 hours. When ready to bake the cookie dough, place the dough log onto the countertop and let it stand until softened slightly (about 15 minutes). Preheat the oven to 350 degrees. Slice the dough into ⅓ inch thick squares. 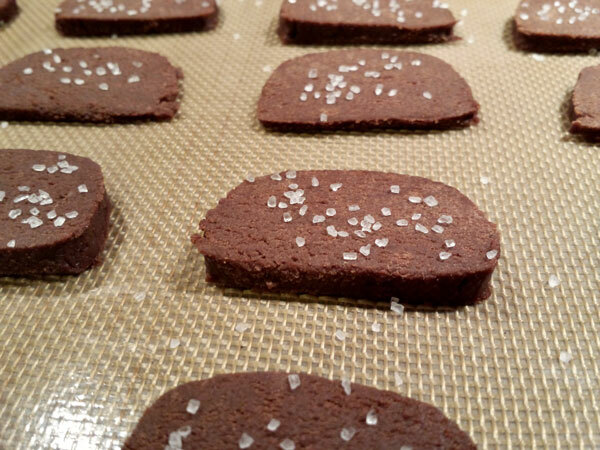 Place on a parchment or silpat lined cookie sheet then sprinkle a little bit of coarse sea salt across the surface of the cookie. Bake the cookies for 13-15 minutes until just dry on top. Let them stand on the baking sheet for about 5 minutes then remove them with a spatula to a wire rack to cool completely. The mocha squares will keep in an airtight container at room temperature for 3 to 4 days…if they last that long.